The concrete work that has been done around your home was a very expensive job. 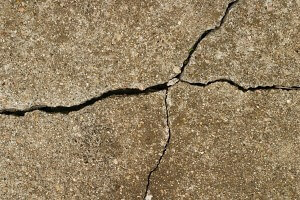 Whether it is a sidewalk, a driveway or your backyard patio, unexpected cracking and collapsing does happen occasionally. We at Bill’s Custom Concrete are experts at concrete repairs in Lexington, Oklahoma, and we can help you with your concrete problems. The reasons for the cracks are numerous, from incorrectly installed expansion joints, improperly constructed control joints, to the ground not being properly compacted in preparation for the cement being poured. 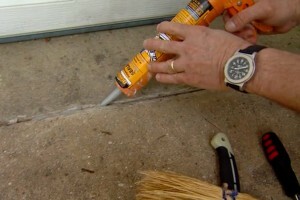 If you leave these cracks untreated, they will in time destroy your concrete sidewalk or driveway. Our professional team at Bill’s Custom Concrete understands how the weather conditions here in Lexington can contribute to the damage spreading further. 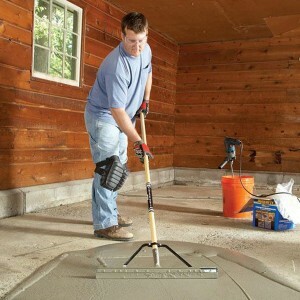 We also understand that you could be spending a significant amount of money replacing your concrete, when the job may only require a less expensive concrete repair and restoration job. Let our qualified concrete experts come out and give you a free estimate on repairing your concrete the right way. Our team of concrete experts at Bill’s Custom Concrete have been working with customers in the Lexington, Oklahoma area since 1976, and our goal is providing only the highest quality concrete solutions for all the residents of the Lexington area. If your home has cracking or damage to any concrete areas, it may not be necessary to completely break out and replace the entire concrete structure. We can identify the problem areas and talk with you about less expensive repair and restoration methods to bring your concrete back to satisfactory condition. Our expert team at Bill’s Custom Concrete can identify just about any type of concrete issue you may have and offer you an alternative repair that will save you a substantial amount of money. We have been repairing concrete in Lexington, OK for almost four decades, and in that time we have seen it all. Many customers in the Lexington area have decorative concrete driveways and patios. The team at Bill’s Custom Concrete has the experience working with this type of concrete, and many times we can simply recolor or reseal the patio to a new like appearance. When it comes to concrete repairs, give the experts at Bill’s Custom Concrete a call at (405)755-3975 today, or feel free to browse through our site at BillsCustomConcrete.com and read some testimonials of your friends and neighbors in the Oklahoma City Metro area who have used our services. We know how to do any kind of concrete repair for your Lexington home or business.